Synergize Desktop: Indexing Window does not pop up – Microdea Inc. User tries to save a document to the Synergize Desktop watch directory but no indexing window pops up. 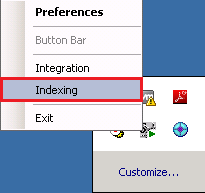 Select and check/enable the Indexing option.